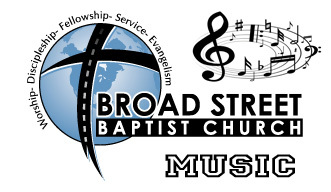 We at Broad Street believe in authentic and Christ-centered worship that encourages each other to offer their “sacrifices of praise” to God through the use of psalms, hymns and spiritual songs (Colossians 3:16, Ephesians 5:19). We offer an exciting blended style of worship consisting of contemporary songs and the timeless beauty of traditional hymns. 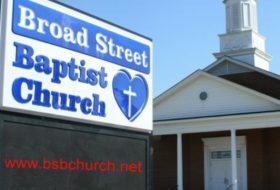 As with everything else we do at Broad Street, our desire is to encourage each of our worship participants to have a passionate desire to worship our Lord and Savior Jesus Christ, resulting in a closer walk with Him. Our Worship Choir and Orchestra consist of youth through adults and meets weekly at 4:15 pm on Sundays. This group leads each Sunday during our morning services and during special events. No audition is required, just a heart to lead people in worship.